Get a snack or soda vending machine installed in your business! For over 12 years, Bob’s Vending has been supplying snack and soda machines throughout the Edmonton area. Our vending machines are perfect for break rooms, waiting areas, hospitals, auto repair shops and retail establishments. Your clients and staff will enjoy their favourite food or drink – even a quick meal! 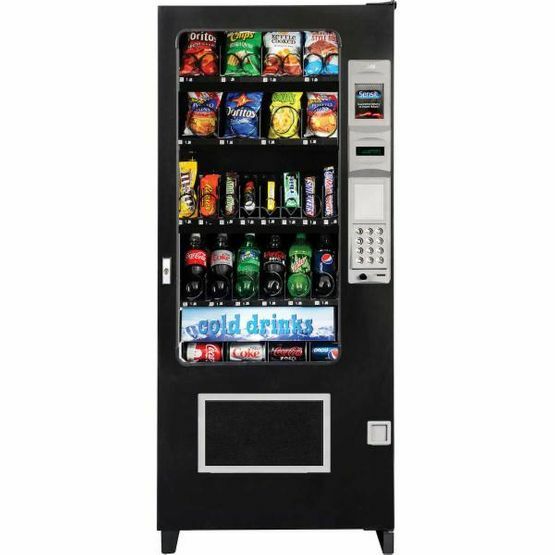 Having a vending machine installed in your establishment is fast and easy. You don’t even have to pay anything! Bob’s Vending team will stock the machine on a weekly basis, making sure it offers fresh products to everyone. And, of course, we handle all maintenance and repairs. Today’s vending machines stock a lot more than chips and candy: you can now provide your clients and staff with soups, pastries, microwavable popcorn and more! Our machines are well-kept and built to last, and they’ll never look out of place, even in higher-end establishments.